The PM7005 is a fully discrete, current feedback integrated amplifier with USB-DAC functionality. It is simply perfect for audiophiles wanting both excellent music quality and a maximum of flexible operation, which is provided by the highly versatile DAC-mode. The amplifier delivers a powerful 2x 60W into 8 ohm, while the symmetrical circuits ensure perfect image balancing. To guarantee best sound quality, the PM7005 includes high-grade audio components, current feedback HDAMs and a high-speed instantaneous current power supply. It also comes with the same high grade speaker terminals as used in the PM8005 for the best possible speaker connectivity. The DAC-mode features optical and coaxial digital inputs as well as a USB-B port, which means you can directly connect your computer to the PM7005 and benefit from its high-quality DAC CS4398 and its HDAM-SA3 module-equipped audio output stage for great audio performance. The amp operates as a soundcard for the computer and the USB-B port works in asynchronous mode and ‘bit-perfect’ to support not only 192kHz / 24bits but also the DSD 2.8MHz and 5.6MHz high-resolution audio. All this digital dazzle is at your fingertips so you can enjoy your digital media wherever you want. But because we also care about the sensitive analogue signal from other sources as well, we built-in the Analog Amp Mode – which simply switches off the digital section completely, enabling you to enjoy the purest analogue audio you can possibly imagine. Perfect for your vinyls. 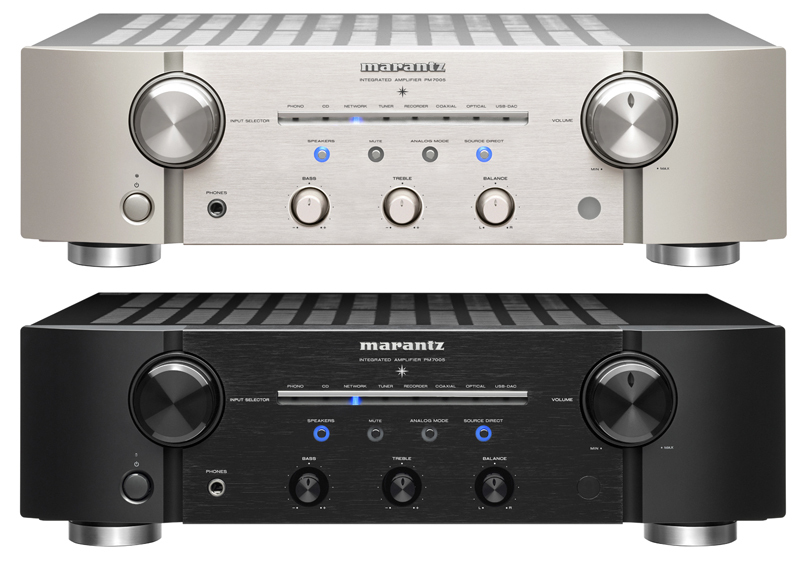 For decades music lovers have depended on Marantz amplifiers to power their systems. Why? Maybe the solid build quality and reliability won them over. Quite possibly it's that warm, transparent Marantz sound. 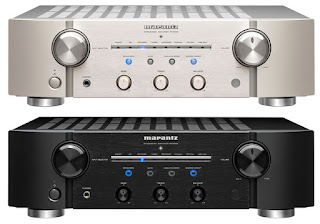 Or simply the way Marantz amplifiers have a knack for pulling even the most subtle nuances out of your favorite recordings — details you may have never heard before. We think it's probably all of the above and it's for all of those same reasons that we're so impressed with the PM7005. Available in store at S&I or online.